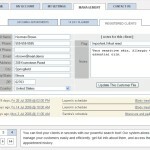 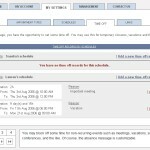 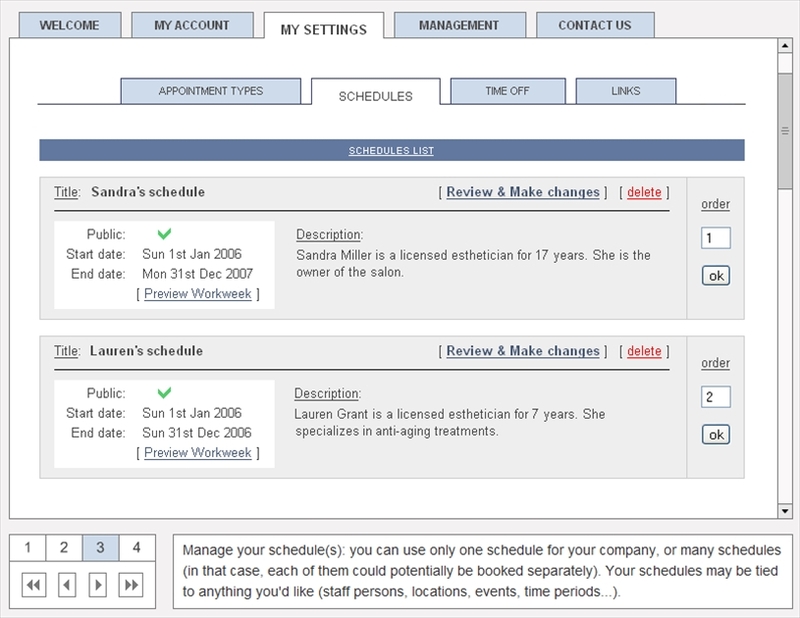 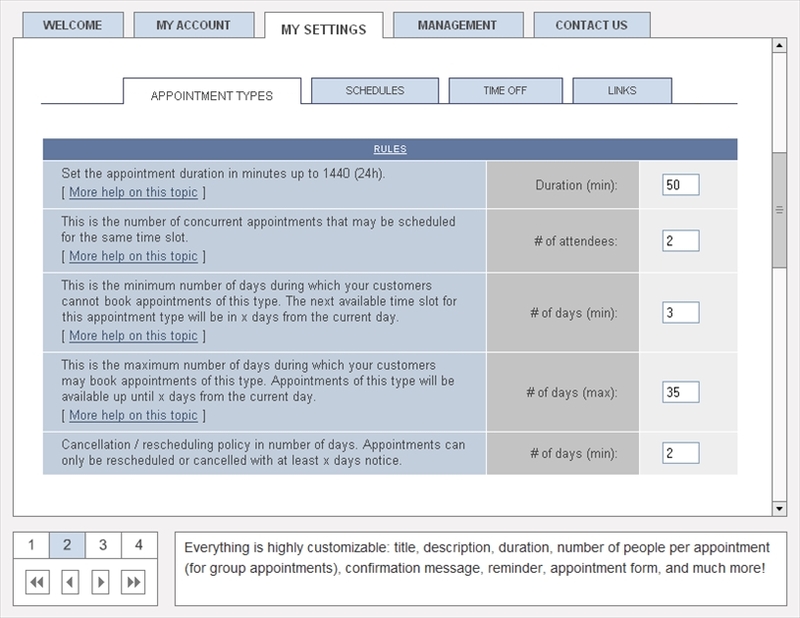 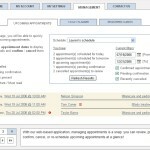 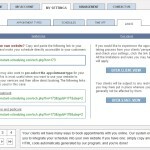 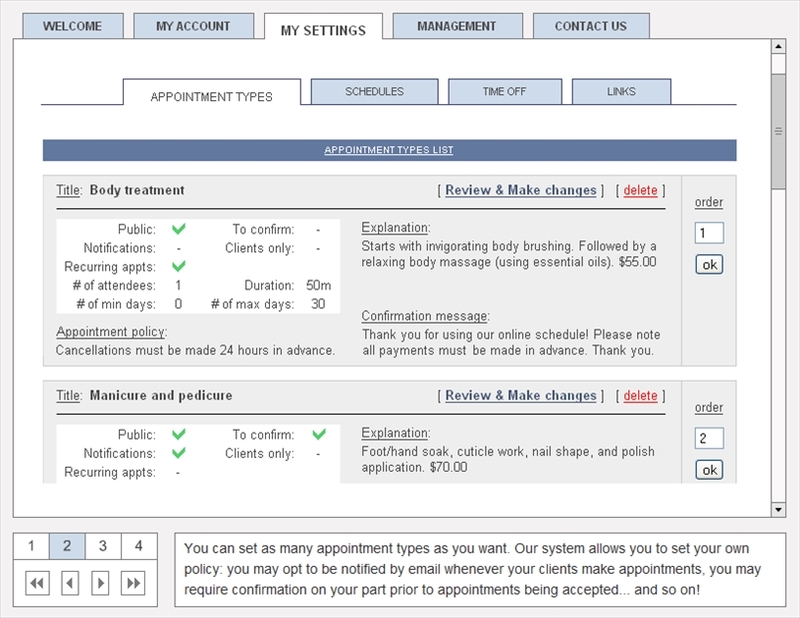 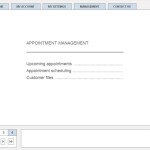 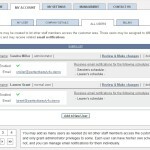 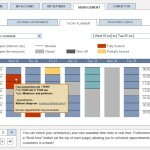 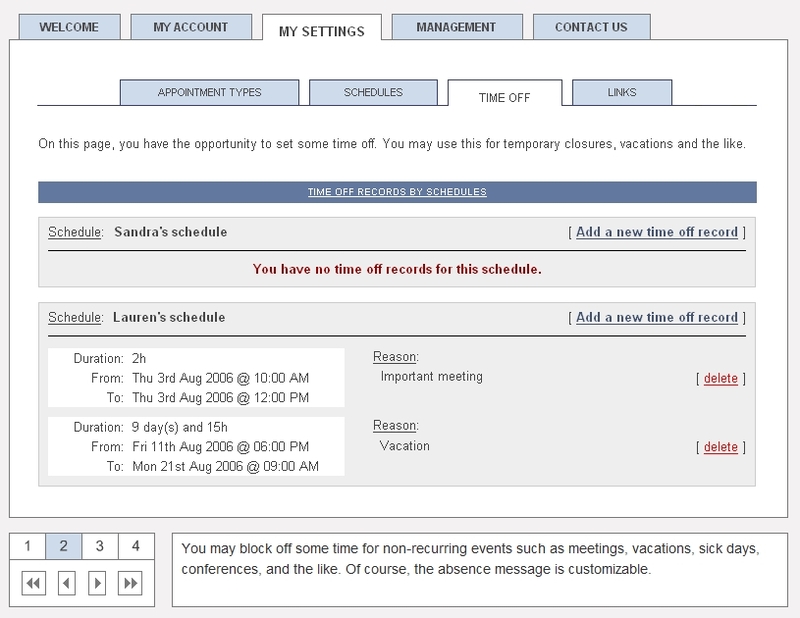 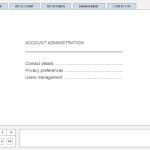 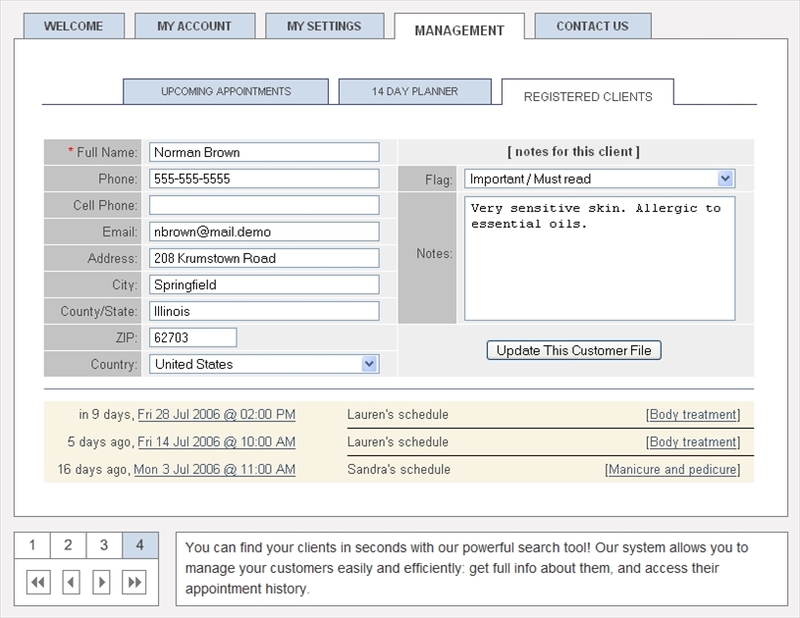 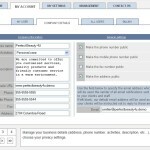 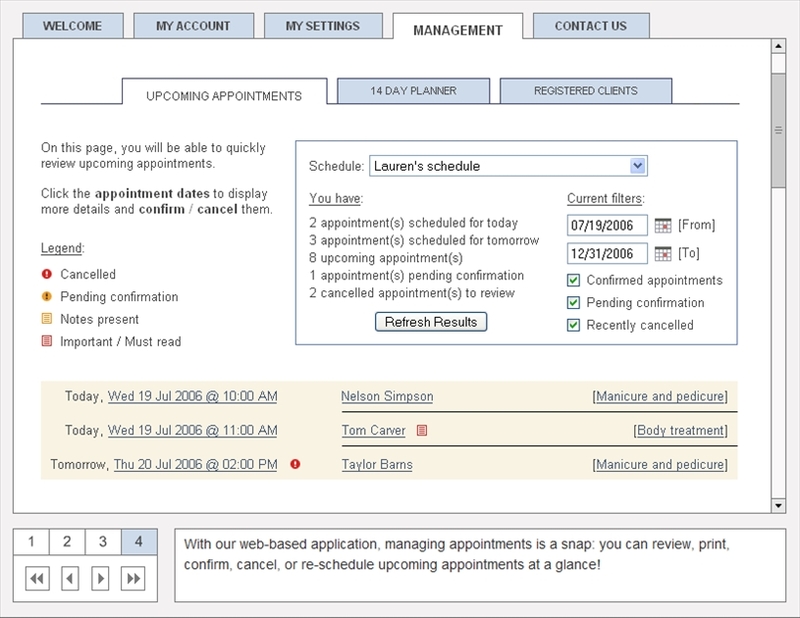 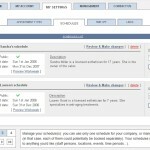 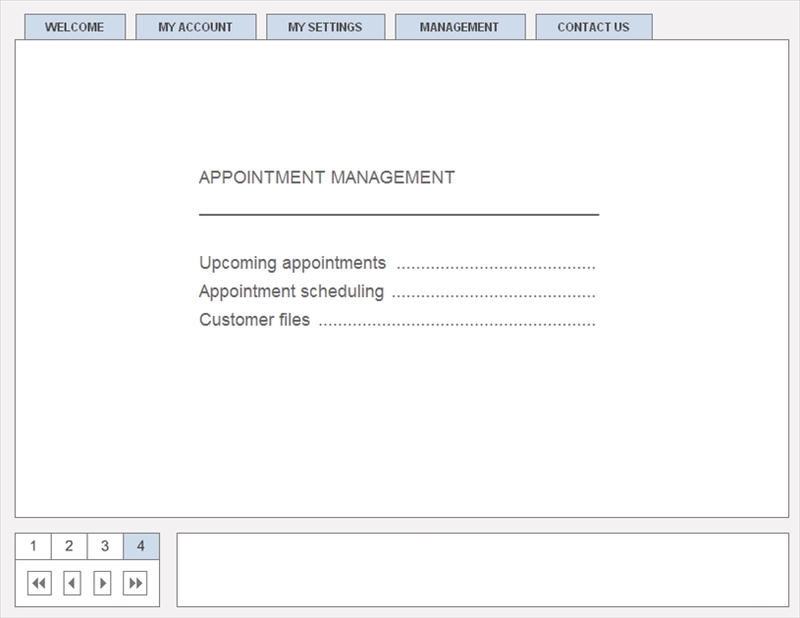 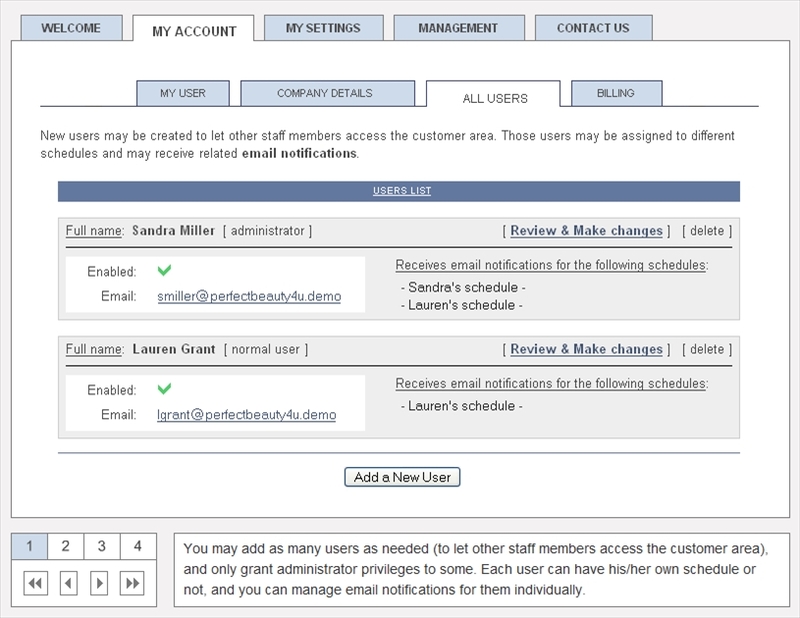 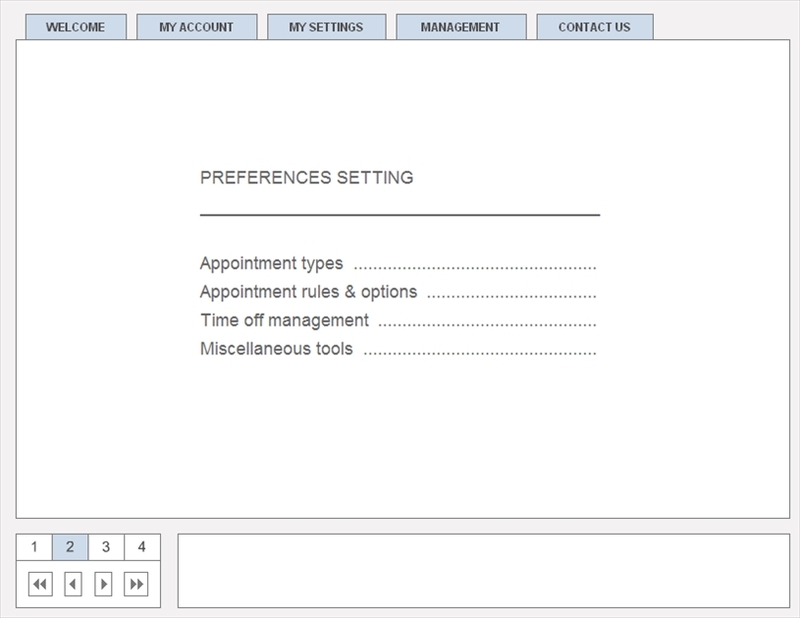 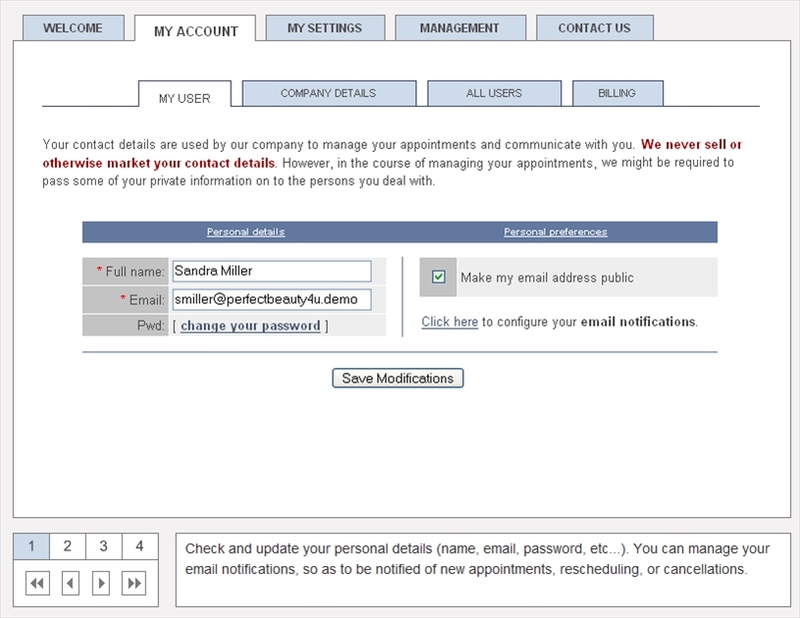 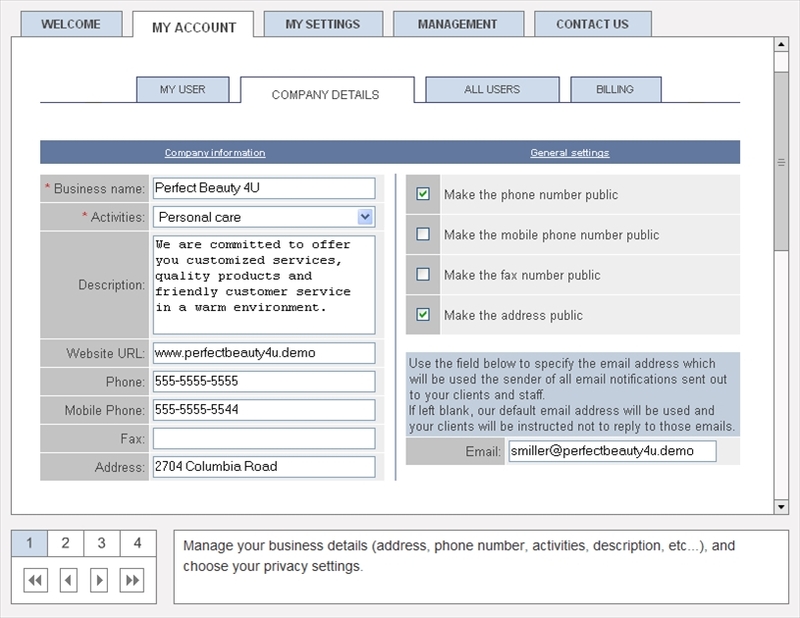 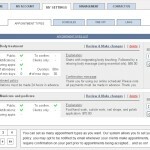 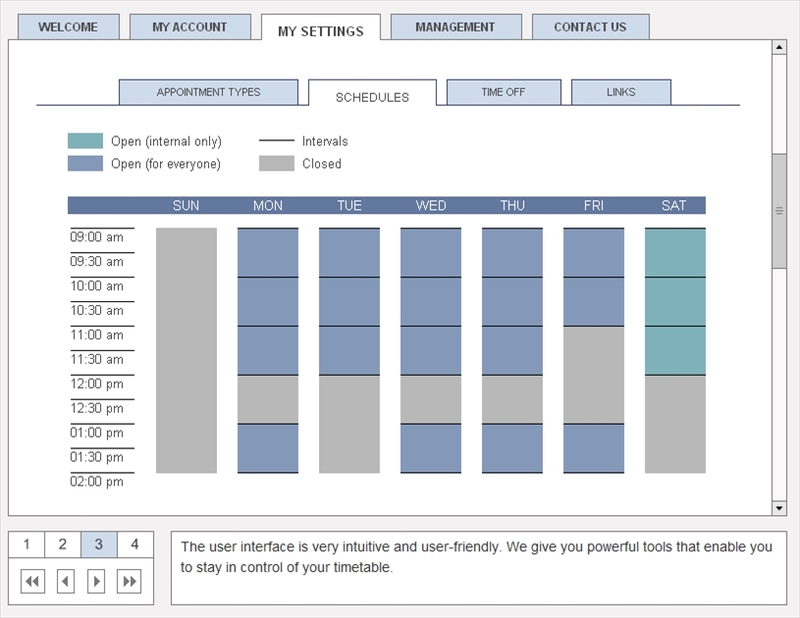 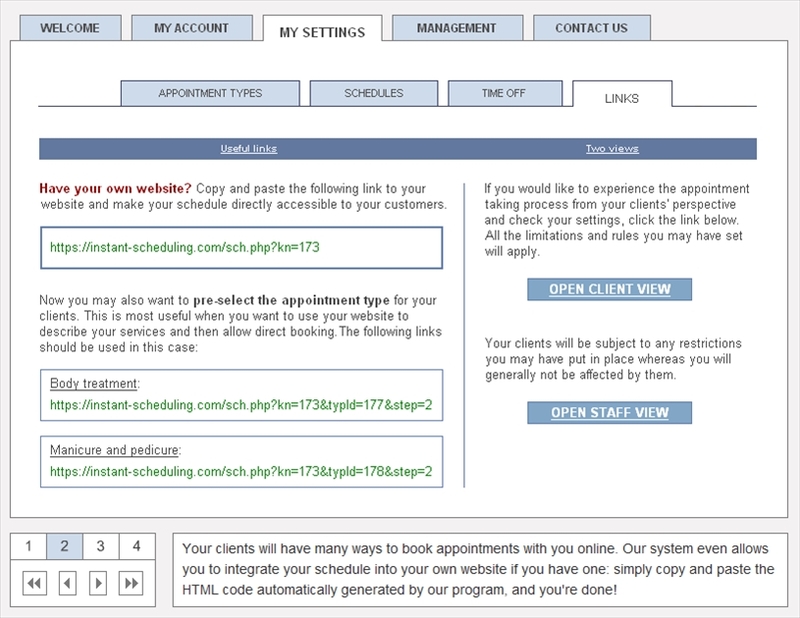 The Account Management Area is where you will customize your schedule and appointment types. 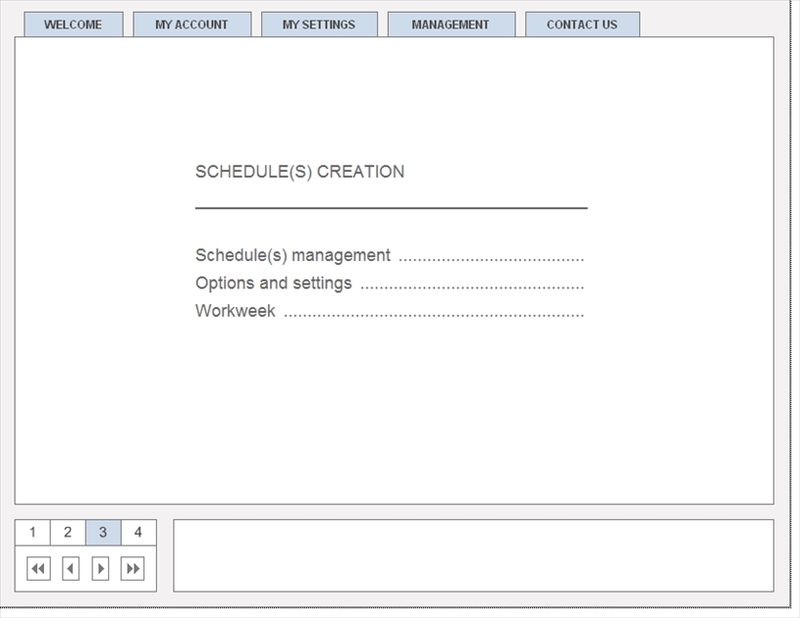 This demo will walk you thru the account management area where you will be setting up your account and configuring your schedule. 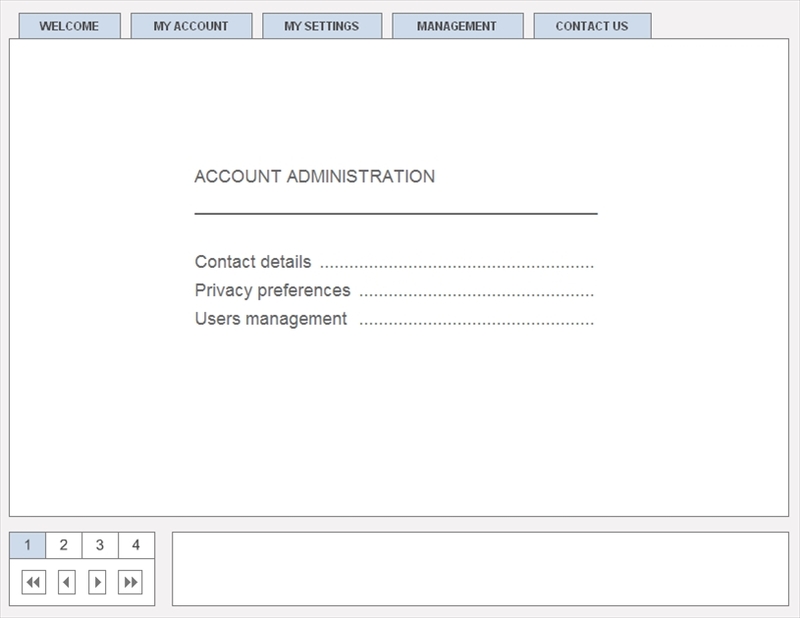 We also offer a setup guide (PDF).